Houjicha is different from other Japanese green teas in that it is roasted in a porcelain pot over charcoal at a high temperature, instead of steamed like the rest. The roasting reduces the caffeine and the catechins in the tea, which makes it less bitter. 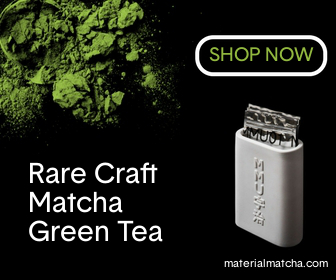 The vegetative tones of standard green teas are replaced with a toasty, slightly caramel-like flavor. Due to its mildness, this tea is popular during meal times or before going to bed. You can buy this tea in any specialty tea shop or through a number of online vendors. If you are unsure where to begin, you can check out some of my recommendations below. The preparation instructions given here are for loose leaf teas. For tea bags, you can generally just follow the instructions given on the box. Houjicha is much easier to brew than other green teas, mainly because you don’t need to worry about the correct water temperature; it is made with water that has just begun to boil, so you can easily just use a simple stove-top kettle. or a cast iron tetsubin. Pour some boiling water into the empty teapot to warm it up. Discard the water and dry the teapot. Put one heaping teaspoon of tea leaves into the teapot for each cup you plan to make. Pour the exact amount of boiling water into the teapot that you will need to fill the cups. You do not want to leave any water in the teapot after the cups are filled. Let the leaves steep for one minute. Pour a small amount of tea into the first cup, then pour the same amount into every other cup. Continue filling the cups a little at a time, making sure that each cup contains the same amount of the weaker first pours and the stronger last drops. DO NOT fill one cup completely and then move on to the next cup. With most types, you will get two or three good infusions. For the second, repeat the steps above. For the third, double the steeping time. Houjicha is much more forgiving than other Japanese green teas, so even if you don’t get it completely right, you will still end up with a good cup of tea. Many people already have an account with Amazon.com so it is probably the easiest place to buy tea online. Most of their houjicha is mediocre, but this one from SA Japanese Teas is really good. Personally, I prefer to buy from specialty tea shops online. 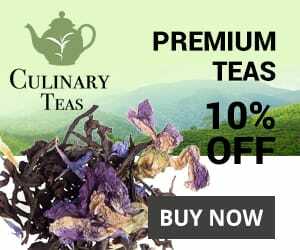 The Houjicha Gold from Culinary Teas is the best deal I’ve found online. It costs half as much as the one above, but the quality is a bit lower, too. For more on houjicha check out the Wikipedia page.